A NEW REPORT from the Simon Community says that just 20% of rental properties are in reach of those on rent supplement. The snapshot shows that just eight of those properties were available to rent for a single person within rent supplement/Housing Assistance Payment (HAP) limits and just 11 properties were available to couples within these limits over the three-day study period. This is the first Simon study undertaken since the increase in limits in July. The number of properties available to people in receipt of these payments increased by 54 homes since the same time in August 2015. 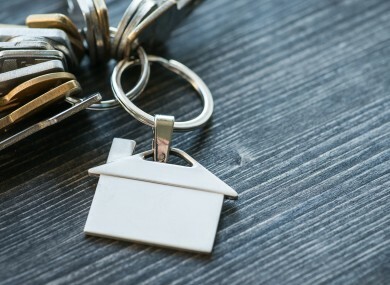 Conducted over three consecutive days – 30, 31 August and 1 September – Simon says the report ‘highlights the extent of the shrinking private rented market and the gap between rising rents and HAP limits’. This is the fifth time the Simon Communities have undertaken this study. This is a fall of 55% from 1,150 homes available to rent in May 2015 when the first study was undertaken. That is a 19% decrease in the number of properties available to rent when compared to one year ago, when there were 637 available. During one week in August 2016, there were 6,611 men, women and children in emergency accommodation across the country; a 40% increase from the same week in July 2015. This included 2,705 adults with no dependents in their care and 1,151 families made up of 1,543 adults and 2,363 children. Rents have increased nationally by 39.7% while the number of properties available to rent have reduced by approximately 80% since 2012. Niamh Randall, National Spokesperson for the Simon Communities in Ireland says there was an urgent need for a strategy for the private rented sector, full rent certainty and enhanced security of tenure. “The rent stability measures introduced in November 2015 have not had the desired effect of slowing down the market and rising rents. HAP limits must be monitored and adjusted on a bi-annual basis to ensure they are aligned with private market rents. Email “People on rent supplement can't afford to rent 80% of properties”. Feedback on “People on rent supplement can't afford to rent 80% of properties”.